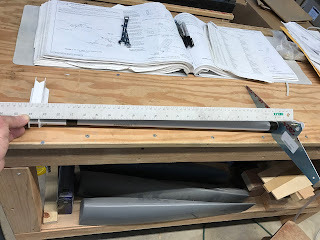 On to a new chapter today- I started work on the flap torque arm. 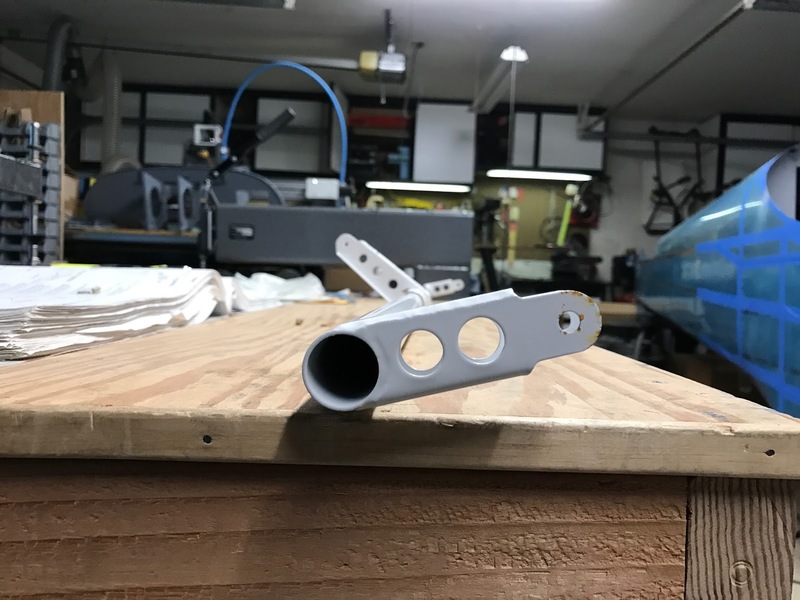 The kit comes with a handy layout template for assembling the torque arms at the correct angle to the actuator arm. 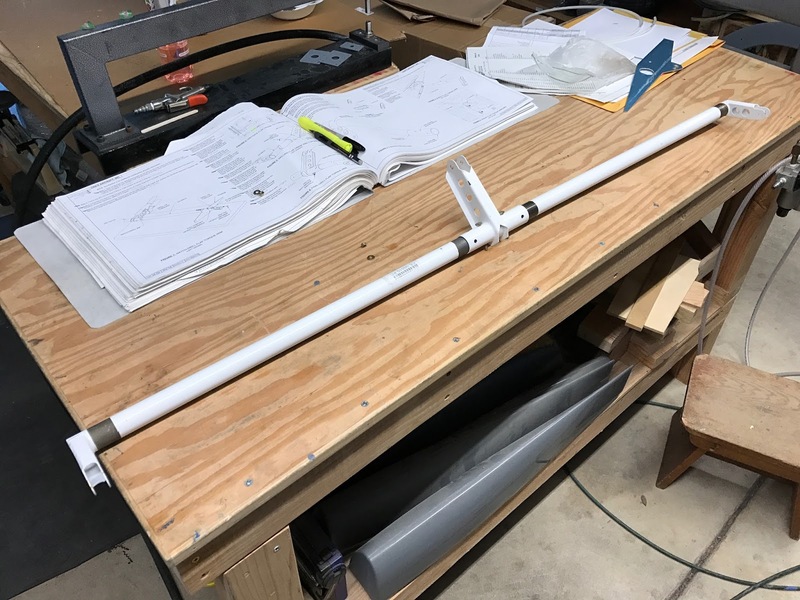 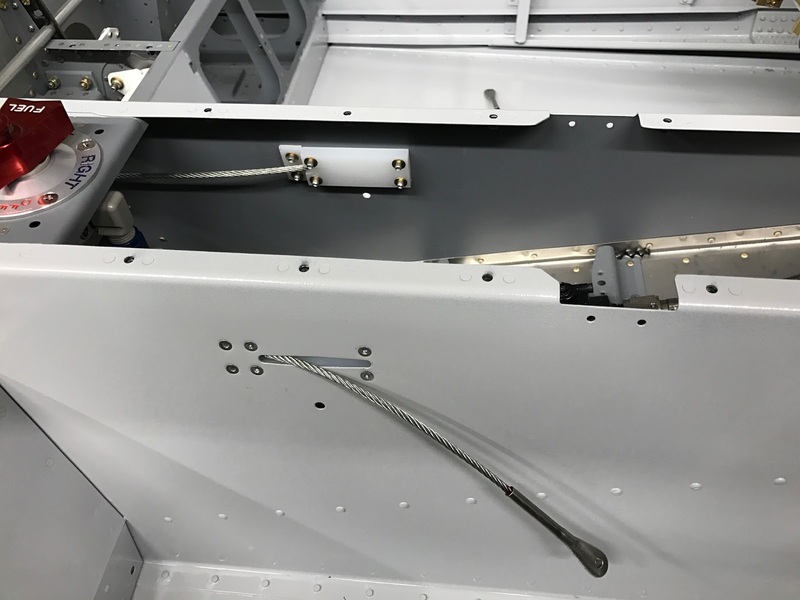 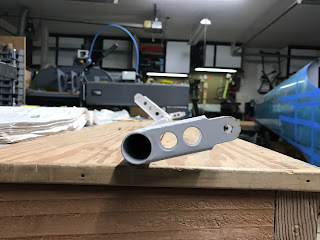 You bolt the end arm to the template and slide the tube into the hub of the center assembly, measure out the proper width and then drill the mating holes. Looks like everything came out nicely aligned. The assembly is now drilled and ready for priming.